I'm thrilled to tell you that a couple Paper Issues girls were asked to guest design for the December sketches from Page Maps and I'm so excited to be one of them! It was a joy to work with this sketch and I want to thank Becky for having us!! There was no doubt I had to 'go Christmas' with the sketch I got. I usually don't scrap a lot of Christmas pictures, so I was kinda challenged here. 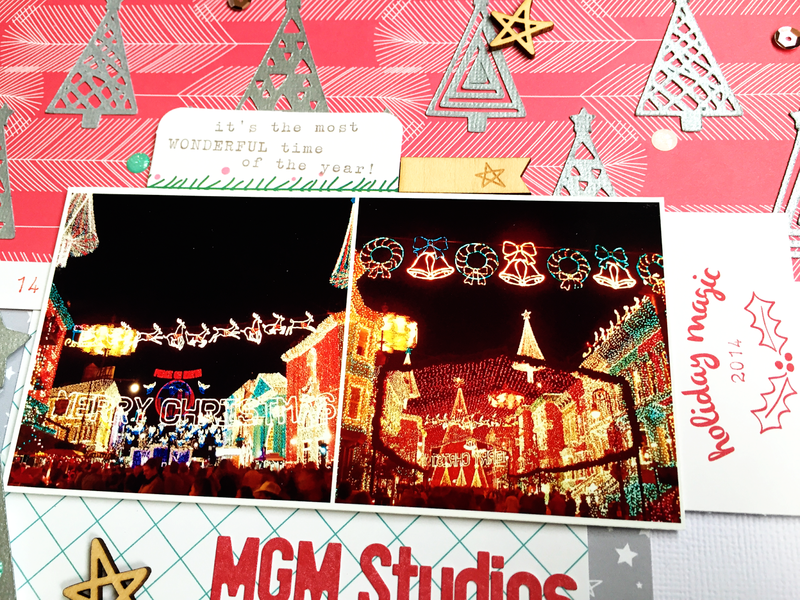 Luckily I still have tons of pictures of spending Christmas and New Years Eve at Disney World. 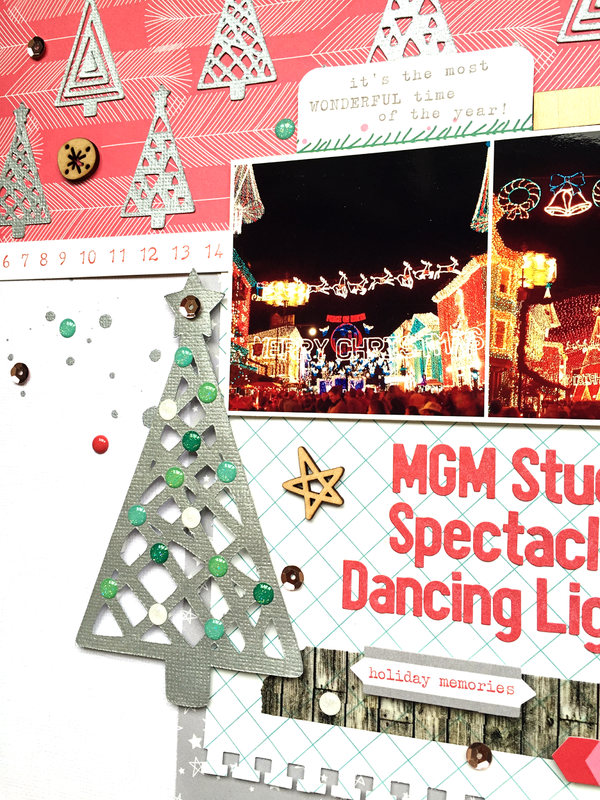 My favorite part of Christmas in Disney World is the Spectacle of Dancing Lights in MGM Studios, I can spend hours watching the bazillion lights that cover all the buildings and streets. Every 15 minutes a Christmas song is playing and the lights start 'dancing' to the beat, it's amazing!! 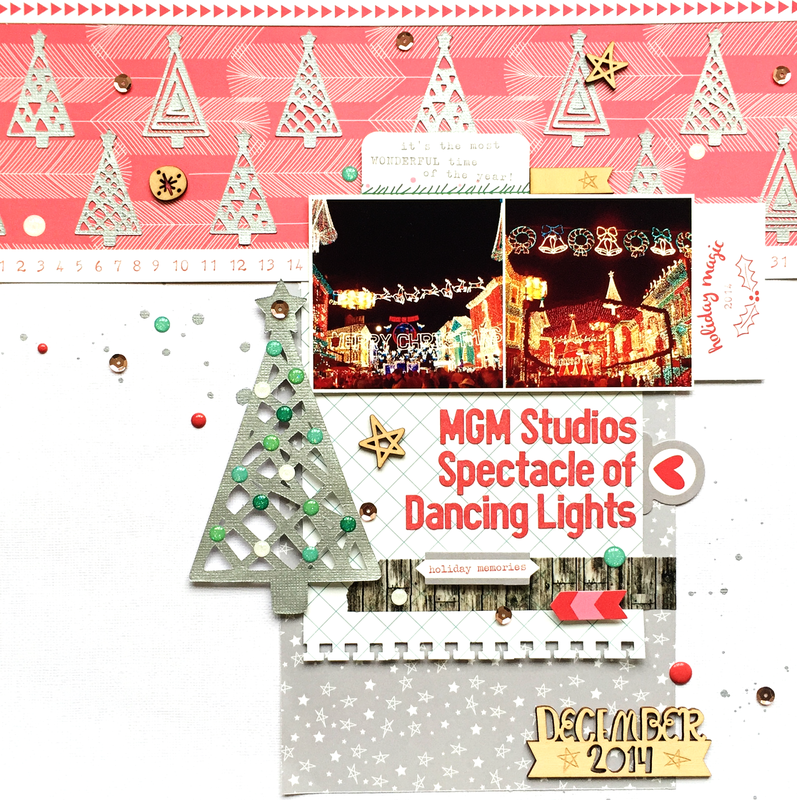 For my layout I used the Elle's Studio Good Cheer and Sycamore Lane collections. The tree cut files are from the Season's Greetings set from The Cut Shoppe. I also added some tape, enamel dots and sequins from Little.Miss.Evie. 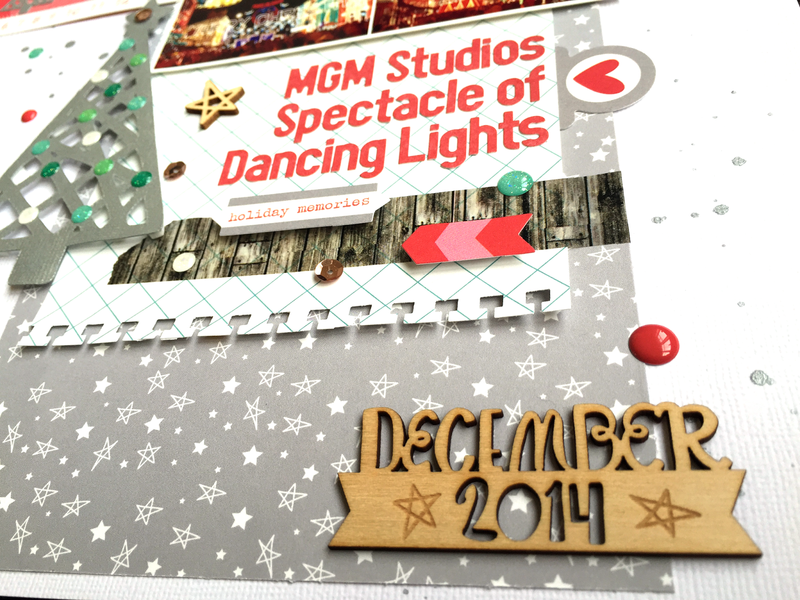 Check out all the Page Maps December sketches overhere, we would love to see what you will create with them! December is a crazy busy month, so these sketches will help you get through it. 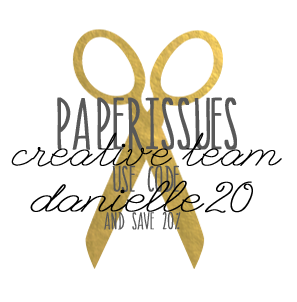 December is also a crazy expensive month, so don't forget to use code DANIELLE20 and take 20% off your entire purchase in the Paper Issues store! This layout is so fab, Danielle!! 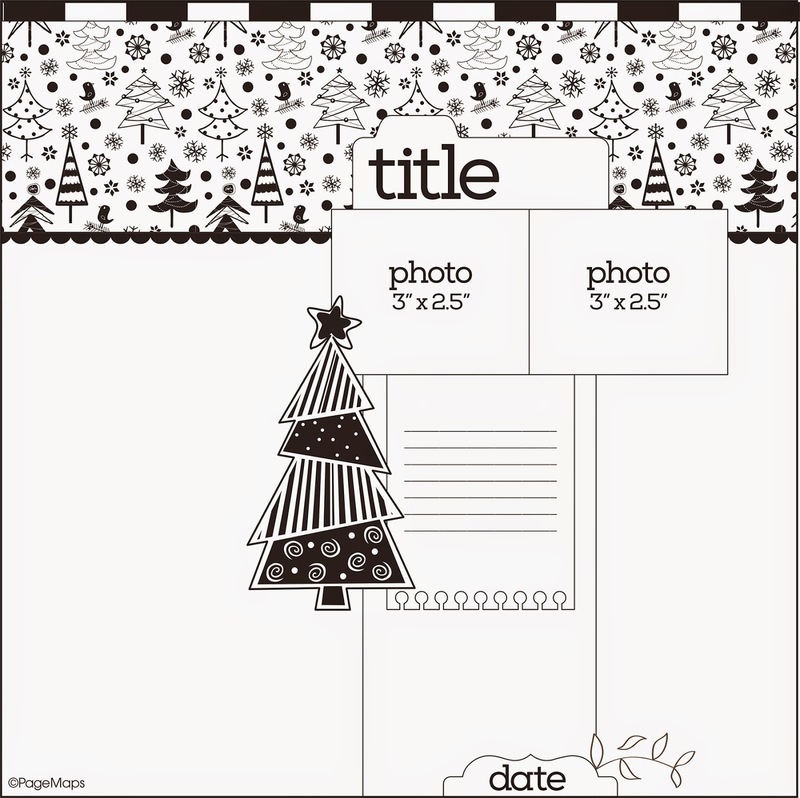 I love what you did with the sketch, and the cut file Christmas trees are so cute! !